Subscribe to the free Itunes Podcast and never miss an episode! 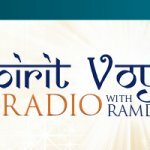 Belinda Carlisle, widely known as lead singer of the Go-Go’s, joins Ramdesh on this vibrant show (yes, really!). This popular singer (“Heaven is a Place on Earth”) is also a Kundalini yoga practitioner who is currently engaged in a teacher training. She’s also been appearing lately with Simrit Kaur, and is performing with her at Sat Nam Fest West this year. How did Belinda find Kundalini yoga (or did it find her)? She first met up with the practice 22 years ago when she took a class with Gurmukh Kaur Khalsa. It was during Belinda’s pregnancy and she was having a rough time. Gurmukh would come to her house and give her private lessons. After she had her baby, Belinda recalls, she drifted in and out of the practice, but about eight years ago she had an experience at a rebirthing class with Gurmukh in India. “That changed my life and ever since I’ve had a really strong, consistent practice pretty much every day.” The rebirthing caused Belinda’s perspective to change totally. 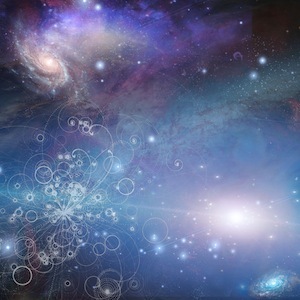 She asked Gurmukh what to do because she felt that she was in limbo, between two worlds. The wise teacher said, “Well, you can’t go back now!” So Belinda forged forward with her practice. Are there particular mantras that resonate with her? Belinda loves Sat Kriya, which she practiced for 40 days. She also loves Kirtan Kriya, and the magic mantra. Belinda feels blessed that singing is her job and is excited to be a Sat Nam Fest. She met Simrit two years ago, and was mesmerized by her voice and energy. They began talking and soon were on stage chanting the Mul Mantra together. “It was the most amazing experience. I felt very close to the Divine, and I thought, this is what I want to do!” Belinda is taking it slow, though, and is in no hurry to cut a mantra CD (though her fans may be in a hurry, Ramdesh points out!). The voices of Belinda and Simrit pair to create a unique and beautiful resonance. Is there a place for mantra in the mainstream world? Indeed, Belinda believes that mantra is headed for mainstream in a very big way. She grew up with the Beatles, punk rock, and rock ‘n roll. “I think mantra is the next big thing,” she predicts. The world is changing, and the Kundalini yoga movement is growing. People love and respond to the music, and it changes people energetically, she observes. No surprise, Ramdesh totally agrees! Women’s empowerment is a big theme in Belinda’s career and personal life. What does Belinda think about women’s empowerment in the tradition of Kundalini yoga? Although the singers in the Go-Go’s were feminists, doing things without compromising and being successful at it, Belinda never approached her work from the viewpoint of gender. Likewise, she sees Kundalini yoga as a practice that focuses on empowerment for all, without regard to gender. “It makes you want to be an excellent person, regardless of being male or female,” Belinda says. You’ll hear some wonderful mantras from Belinda’s personal playlist next. First you’ll hear “Aap Sahai Hoa” by Simrit Kaur from The Oracle Sessions. This is a powerful mantra that helps us to go forward into the unknown fearlessly. It gives a sense of protection and mental balance. Next, you’ll hear Nirinjan Kaur’s version of ‘Triple Mantra” from Adhara. This mantra clears psychic and physical obstacles from your path and is a powerful protector against accidents. The show closes with “Pootaa Mataa Kee Asees” by Snatam Kaur from Divine Birth. This is actually a shabad (prayer) that is a love song to the Divine; it is said to allow us to see the Divine in our children, and is a powerful prayer to say for a child’s protection and blessing (it’s great to recite when you’re pregnant, too). Tune into Belinda’s playlist as well as this intimate chat with the talented singer who is now “shouting out” her joy at finding Kundalini yoga and the miraculous path of mantra music. In fact, let’s shout out our joy, too! 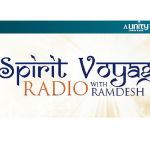 Girish on Spirit Voyage Radio with Ramdesh!